Front view of Byrum Hall as Anderson College's gymnasium. Students are going in and out of the building. 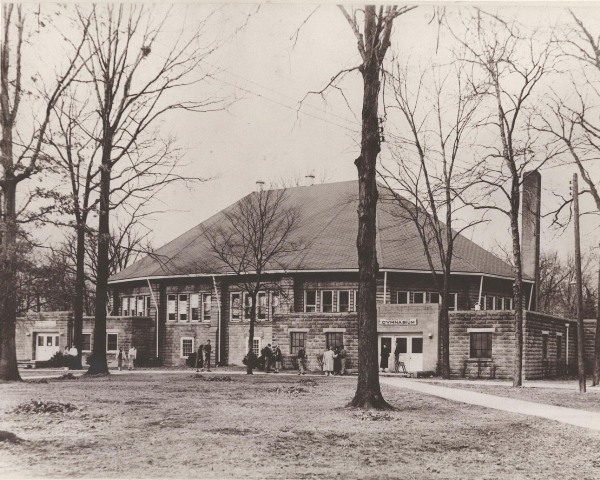 “Byrum Hall Gymnasium,” Omeka @ Anderson University, accessed April 24, 2019, http://omeka.anderson.edu/items/show/13.